This Sunday, April 22, is Earth Day and marks the two-year anniversary of the PepsiCo Dream Machine recycling initiative. The initiative aims to provide Americans with convenient and rewarding recycling solutions to help increase the U.S. national beverage container recycling rate to 50 percent by 2018, and establish a closed-loop system to capture more recycled plastic for use in manufacturing new bottles. The national beverage container recycling rate currently stands at 40 percent, and is up six points since 2007.
that shares cumulative results since launch. In the past two years, the program has made great strides in sustainability and now has a presence in 40 states. More than 150 businesses, universities and municipalities have signed on to host Dream Machines—a 305 percent increase in partnerships since 2010. 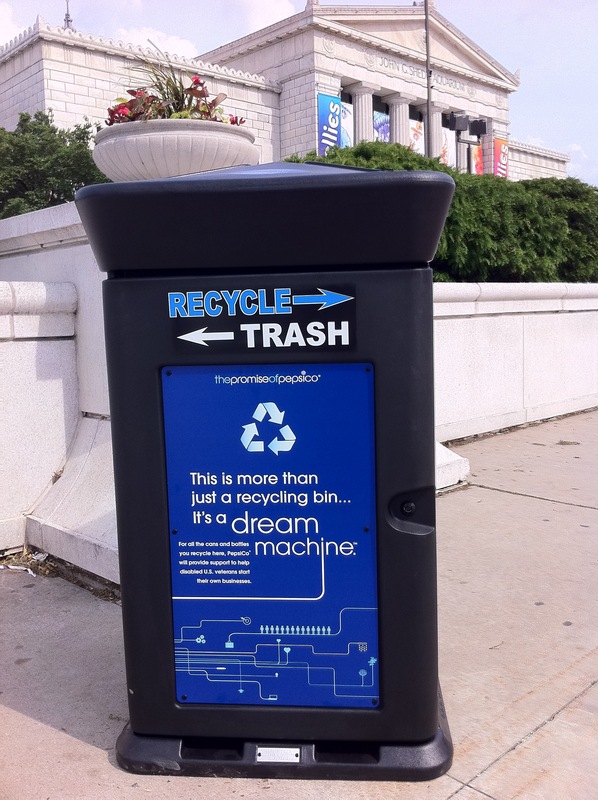 Nearly 4,000 Dream Machine bins and kiosks have been deployed and 400,000 students at more than 900 U.S. K-12 schools are participating in the Dream Machine Recycle Rally. These efforts, and recycling efforts at PepsiCo industrial locations, have diverted nearly 94 million plastic bottles and aluminum cans from landfills. In addition to the environmental progress the program has made, PepsiCo has donated $1 million to-date to the Entrepreneurship Bootcamp for Veterans with Disabilities, an organization providing free entrepreneurship training to post-9/11 disabled U.S. veterans, and recyclers have earned millions of rewards points by recycling beverage containers in Dream Machine kiosks and through the Dream Machine Recycle Rally.